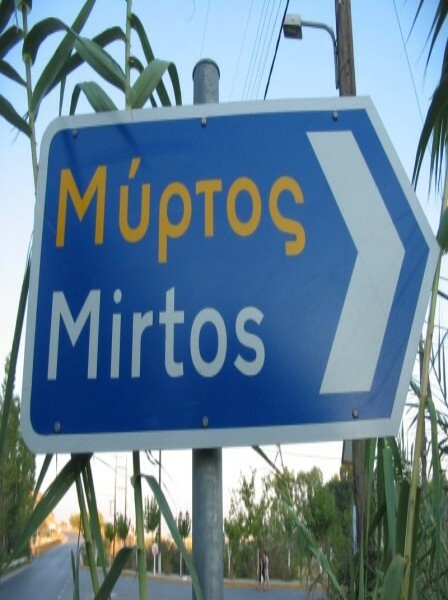 Mirtos is found in the prefecture Lasithi, of which Agios Nikolaos is the capital. Agios Nikolaos is one of the touristic highlights of Crete; you will frequently be invited into a tavern to enjoy a drink or a meal. Notwithstanding that, it is a beautiful town with a charming, characteristic harbour. When you want to visit another busy city with a colourful past, you might want to visit Elouda, or Elounta as it is officially known. A large part of the popular television series "Who pays the Ferryman" was filmed on this location. In the northern part of Eastern Crete you will find the mountain village of Kritsa, which is famous for its high quality, handmade lace and the city of Sitia where well known and excellent tasting wines are produced. A boat trip to the former leper island of Spinalonga is a must, as well as a visit to the palm strewn “Bounty beach” of Vai. Further to the south, high on the plateau of Lasithi is the legendary birth cave of Zeus (Dikti cave) and in the vicinity of Psychro are the sources that supply the surrounding area with water. 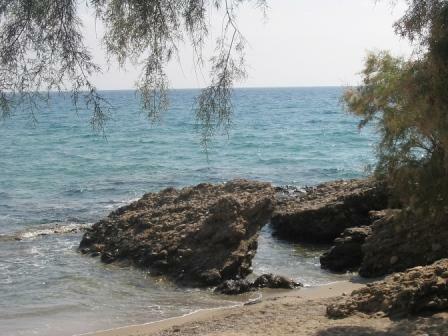 Even further south is the city of Ierapetra, with a beautifully conserved Roman fortress. From Ierapetra boat cruises are organised to Chrissie Island. When you love visiting picturesque villages or luxurious beaches instead of pebble beaches I have a few suggestions: Pay a visit to the ghost city of Kalami and enjoy the sandy beach of Makrigialos. There are a great many places also worthy of your attention, more than I can mention here. Information and a lot of Photographs can be found on the website www.mirtos-reizen.nl.